Grace-full Nail Polish has just released the Peg's World Collection, a tribute to the adorable Pegacorn who decorates the brands cards, and in this case, bottles! Peg is a mighty special little horsey, because Theresa made some lovely colors for her. If you missed it, Part 1 of my review is here. 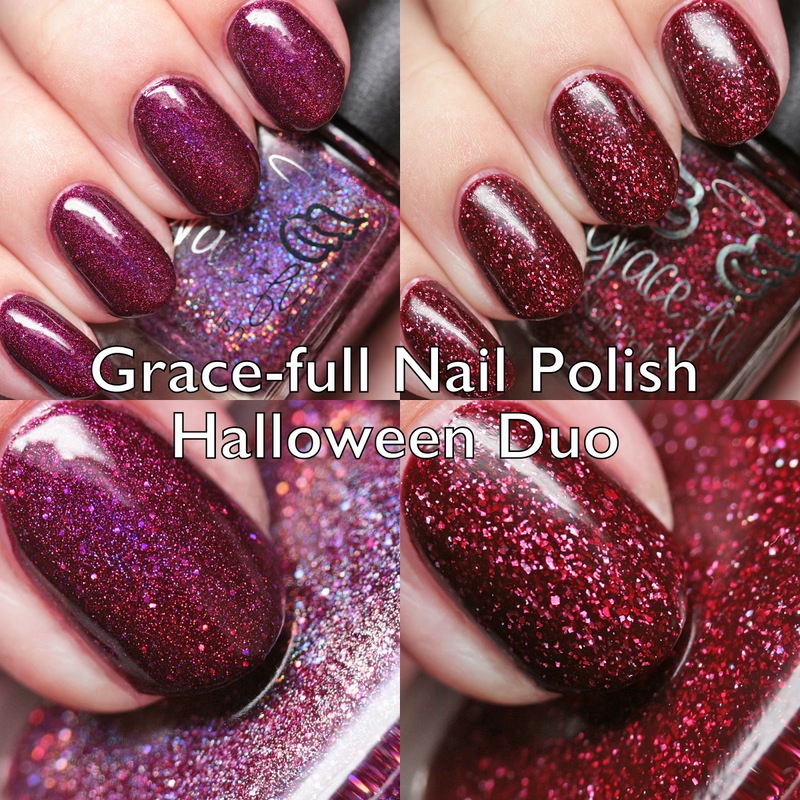 Grace-full Nail Polish has a luscious Halloween Duo available now which channel all your sparkly, vampy holo polish cravings, whether they be linear or flake! Let's check them out. 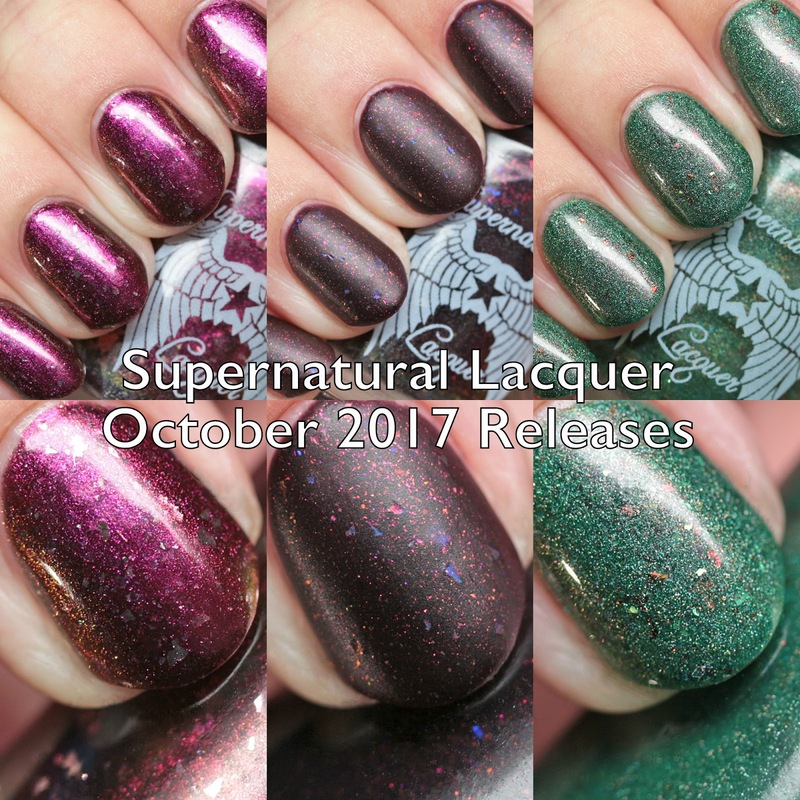 Blue-Eyed Girl Lacquer is launching a quartet of new polishes on October 24 at 3:30PM EDT, the Something is Coming Collection inspired by Stranger Things. These are not a pre-order so they will be there in time for Halloween - if they sell out quickly they may be released at a later date as well. Let's check them out! 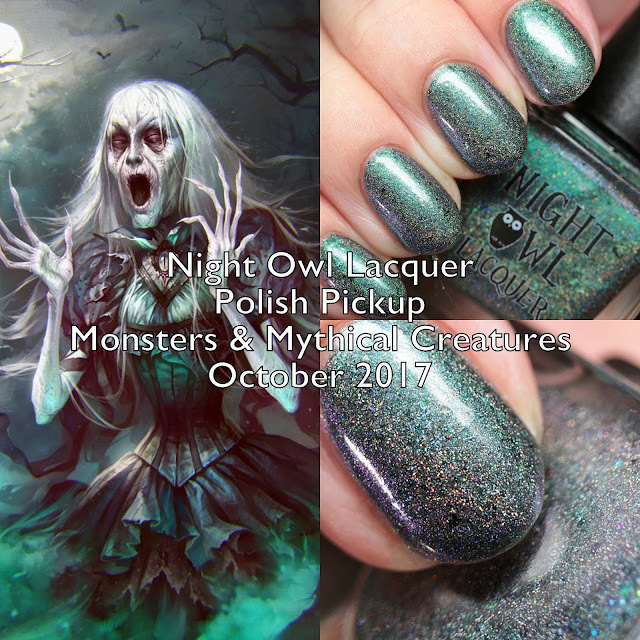 Something spooky is coming to Supermoon Lacquer's shop this Friday! And no, it is not just the groaning of your bank account. 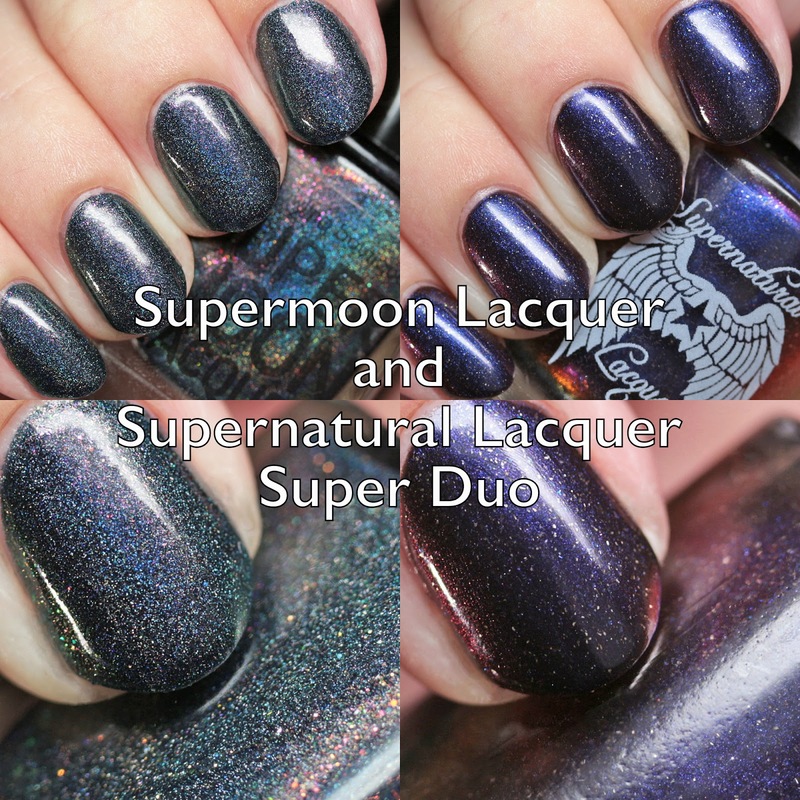 It is the Super Duo: Werewolf Edition in collaboration with Supernatural Lacquer, which will be available for pre-order from October 20 at 6PM CDT to October 24 at 11:59 CDT. It will retail for $22 plus shipping. Let's have a look! I'm right back atcha with the Supermoon Lacquer Sailor Guardians Collection Outer Set! This is the second half of the collection launching on Friday. If you missed it, the Inner Set is here. Let's get started! 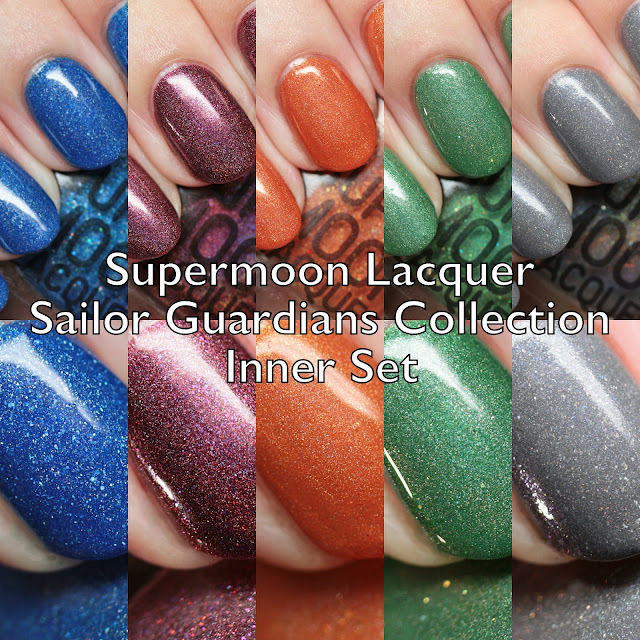 The much anticipated release of the Supermoon Lacquer Sailor Guardians Collection is almost upon us! 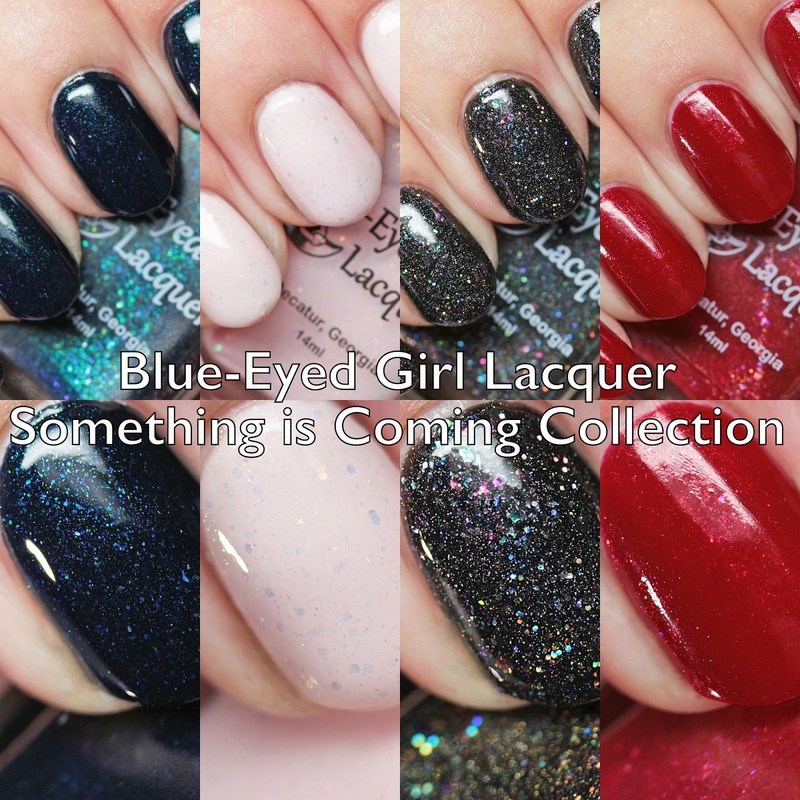 This Friday, you will see two sets of five polishes come to the store. Today I have the Inner Set to share with you. Overall, this contains the lighter and brighter shades of the collection. Let's have a look! If you are not already a member, I highly suggest the Facebook group Holo-Maniacs! 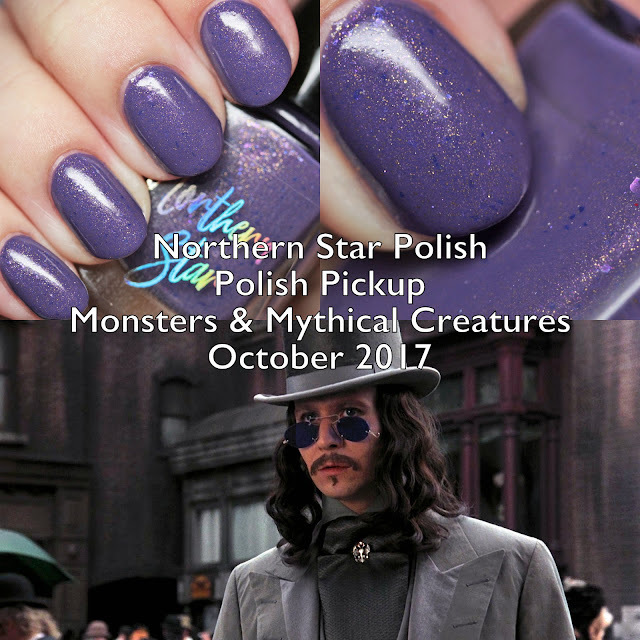 Not only is it a great way to keep up with all the new holo offerings from indie polish makers, but they also have monthly customs open for purchase to members of the group. 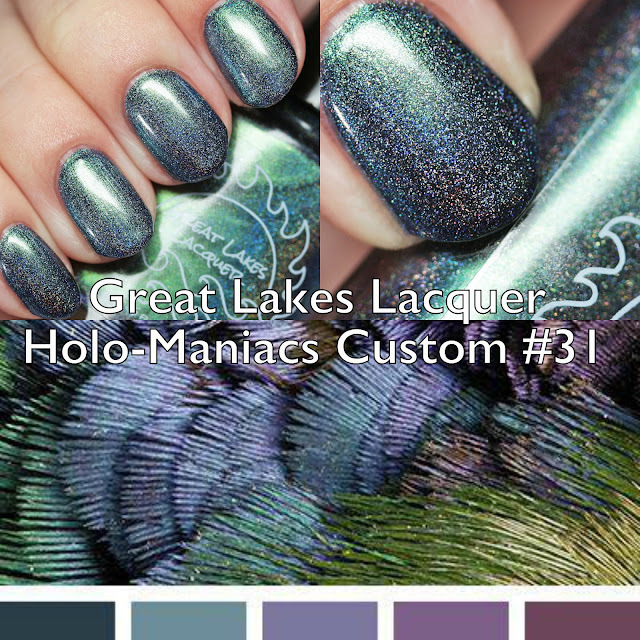 Until the end of the month, you can buy the October polish from Great Lakes Lacquer, Holo-Maniacs Custom #31. Let's check it out! Happy Friday the 13th, folks! Supernatural Lacquer has been celebrating the event with a release of limited edition polishes that are sure to delight your shifty hearts. 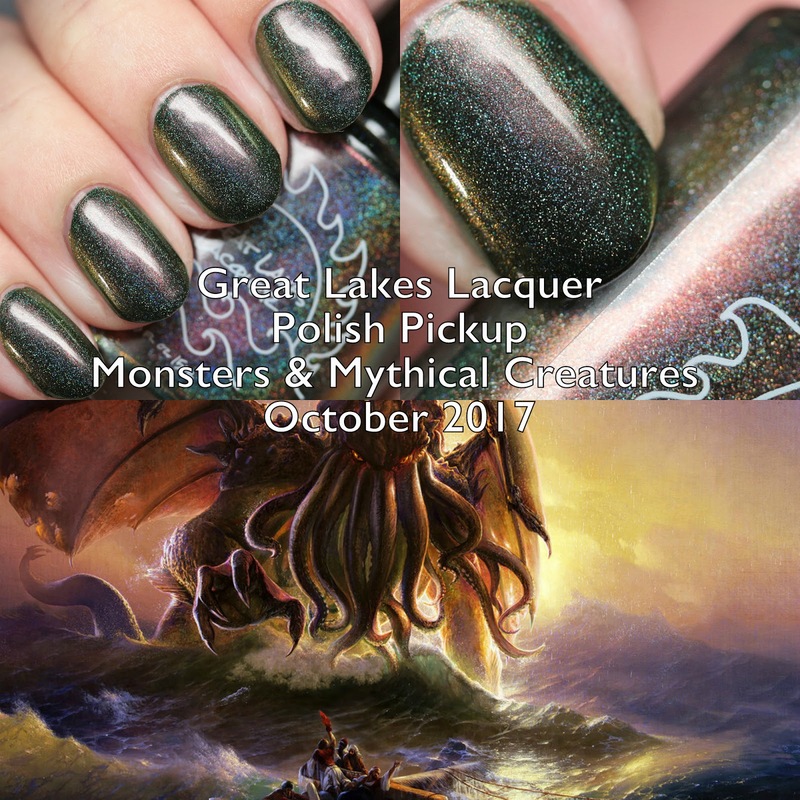 Filled with amazing multichrome shimmer and flakes, these pack all the flash. Let's look! 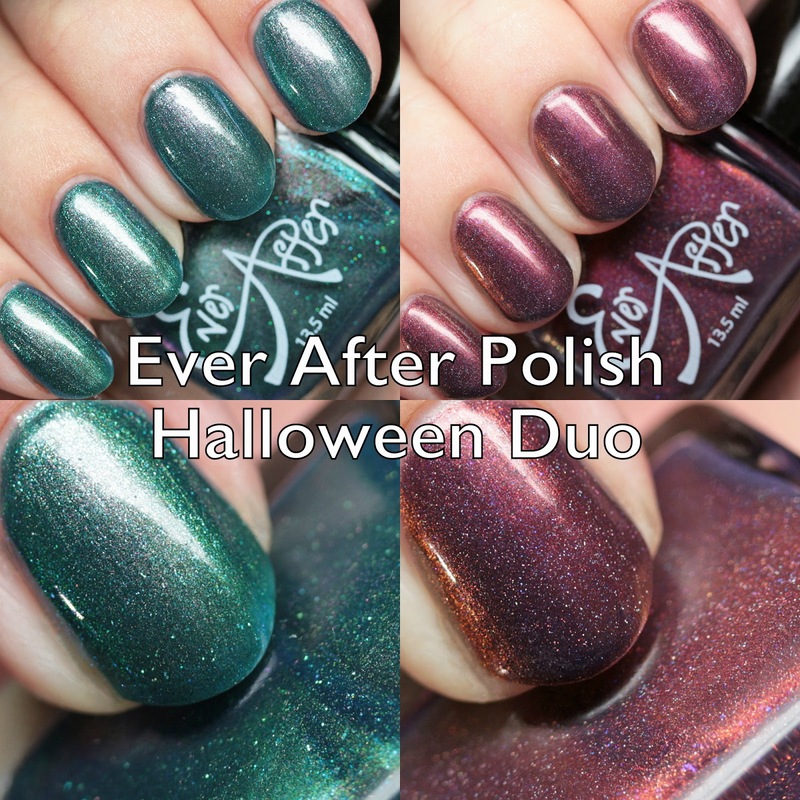 Ever After Polish is debuting a lovely, shifting Halloween Duo at Indie Shop San Antonio on Friday, October 13. 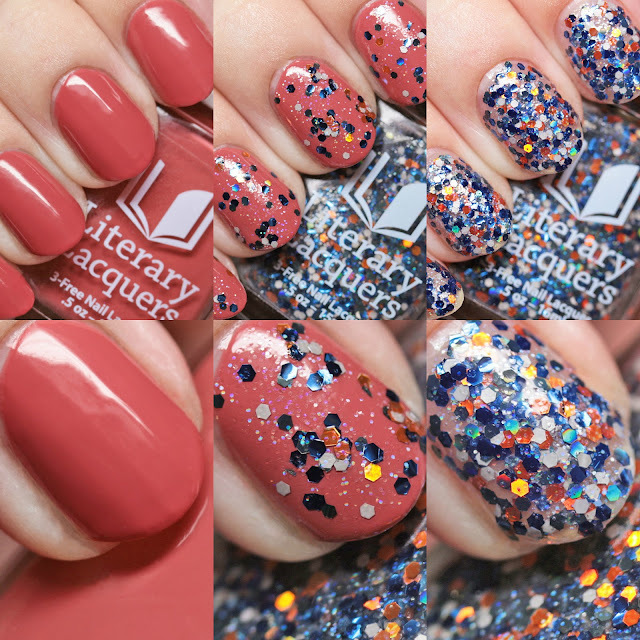 These polishes will also be available online later. The complexity and beauty of these is stunning and shouldn't frighten you away! 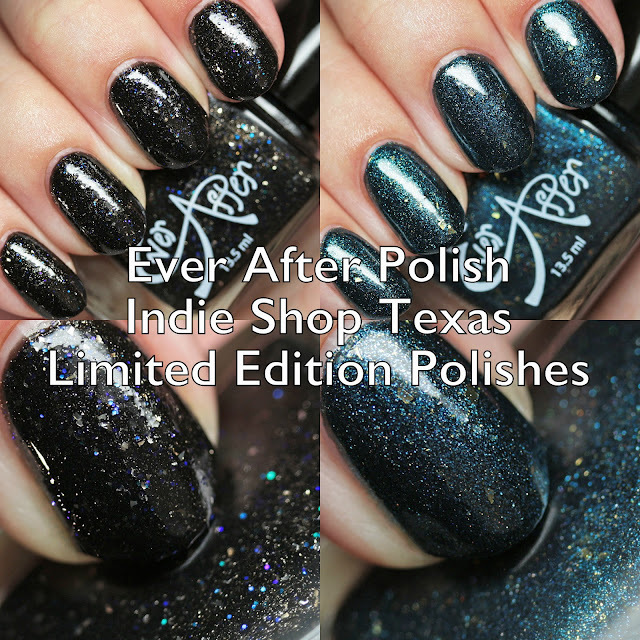 This Friday, October 13, Ever After Polish will be at the Indie Shop San Antonio Texas, which will be from 5 to 10PM. There will be two lovely limited edition polishes available at the event. Any leftover will be listed on the brand's website afterward. Let's check them out! 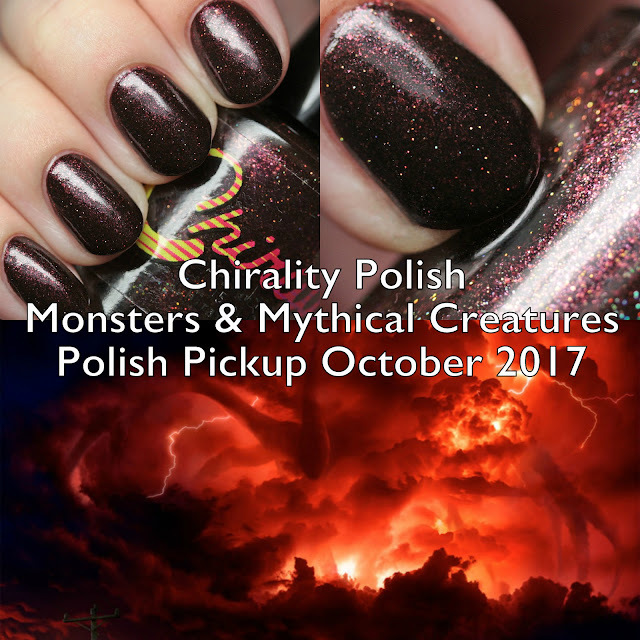 Have you set your alarms yet for the launch of the Polish Pickup Monsters & Mythical Creatures on Friday, October 6 at 10AM CDT? I sure have! I have a couple more colors to share with you, too. Today I will show you Great Lakes Lacquer O'Rlyeh? 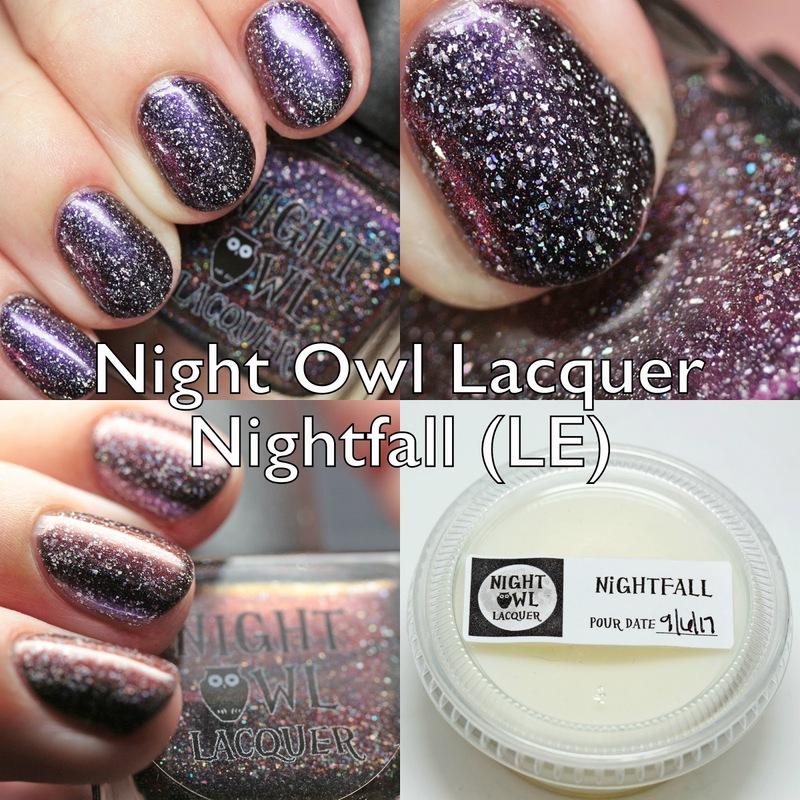 It's hard to believe, but Night Owl Lacquer just celebrated its first birthday! To mark the occasion, Lindsay has created a stunning limited edition polish that comes with a free wax melt! 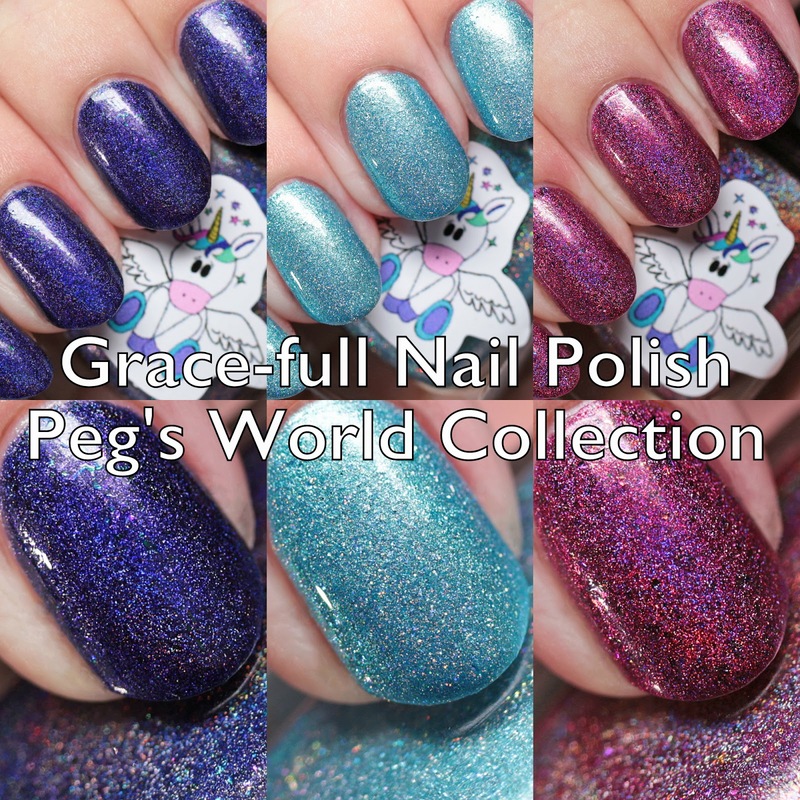 If you love multichromes and waxes, you might not want to miss this set. 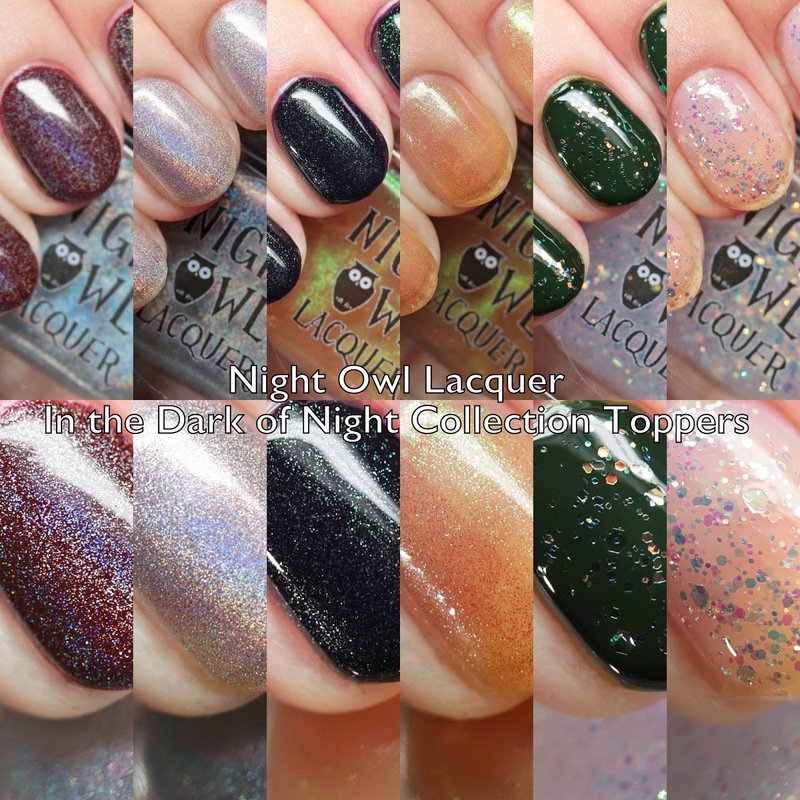 I'm back with the Toppers from the Night Owl Lacquer In the Dark of the Night Collection! If you missed it, I already reviewed the lovely cremes here. 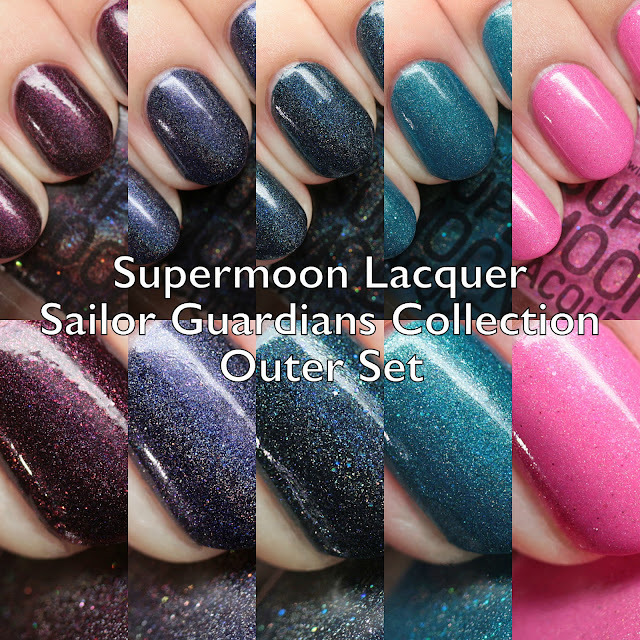 The collection includes three toppers, a holo, a shifter, and a glitter. Let's look!